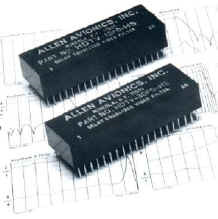 The Allen Avionics LOWPASS VIDEO FILTERS were designed with the Original Equipment Manufacturers in mind. 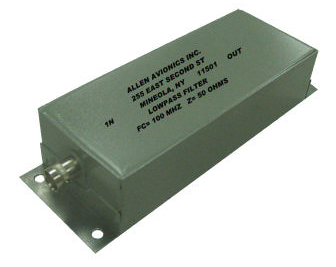 We provide a large variety of types, sizes, specifications and power ratings to meet your needs. 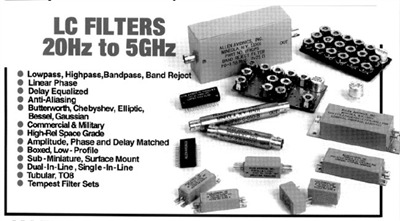 We have standard Lowpass filter series but can also custom design to meet your needs. Our circuit designs utilize mainly Chebyshev types, but we also use Butterworth and Elliptical designs as needed.